The Tommy Tiernan Show returned to RTÉ One on Wednesday night with a typically eclectic mix of guests, including Irish musical royalty Foster and Allen, Irish actress Fionnuala Flanagan and Shaykh Dr. Umar Al-Qadri, the Imam of the Islamic Centre in Ireland. If you’re unfamiliar with the format, Tiernan is unaware of who he’s interviewing until they appear in front of him and it was his interview with Dr. Al-Qadri that was the subject of most discussion on social media last night. After greeting Dr. Al-Qadri by dropping to his knees, bowing to him and asking if that was “an inappropriate cultural gesture”, Tiernan engaged in a fascinating discussion with the Imam that included a chat about his experience of life in Ireland (he’s lived in here since 2003) and of being a Muslim in this country. 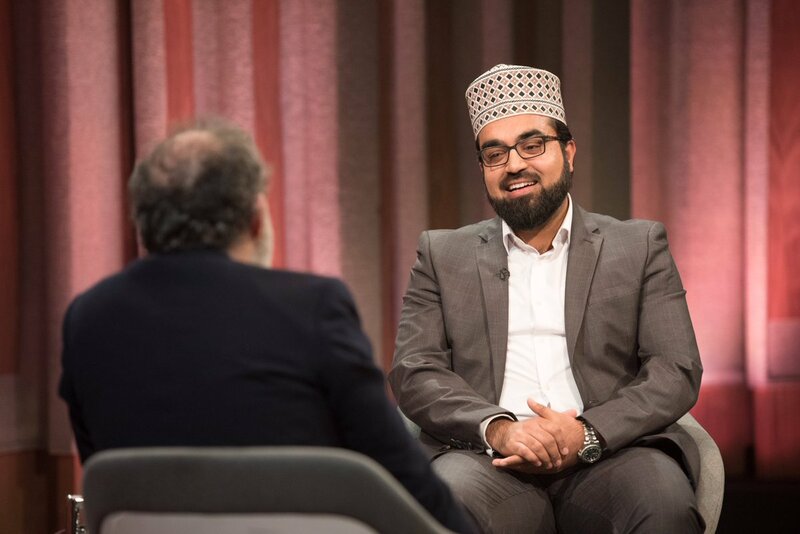 Although the conversation involved a number of serious topics, it was good-natured and humorous throughout, with Dr. Al-Qadri responding with laughter when Tiernan remarked: “You’re not going to blow up after this now, are you?” before Dr. Al-Qadri recited a verse of the Quran. “No, definitely not,” Dr. Al-Qadri responded. “The vast majority of Muslims are absolutely peaceful, believe me… and those lunatics do not represent the Muslim faith,” he added. “And I obviously wouldn’t have said that to you unless I suspected you had a sense of humour,” Tiernan replied, while jokingly wiping his forehead. 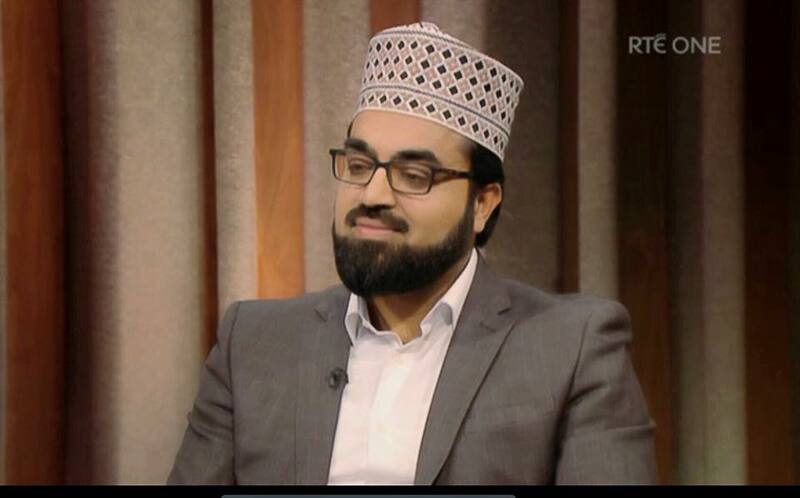 The interview drew a positive reaction on social media afterwards, with Dr. Al-Qadri himself remarking that he hoped it helped build bridges in communities in Ireland on the day a Japanese man was stabbed to death in Dundalk in an incident that led to the arrest of an Egyptian teenager.